Does this matter to you?Â Is Google your (only) search tool of choice? 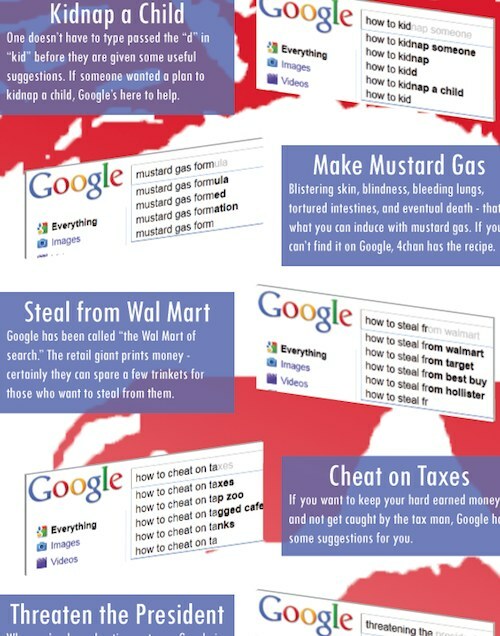 Google won’t autocomplete searches for “bittorrent,” but if you are interesting in learning how to kidnap someone, make meth, build a bomb, cheat on your taxes, or shoplift, they will happily autocomplete your search for you. Google won’t autocomplete “bittorrent” but will autocomplete “how to kidnap a child” – Boing Boing.